Hannah Turner, a Bristol based ceramicist, makes adorable quirky ceramics adorned with beautiful patterns and retro colors. 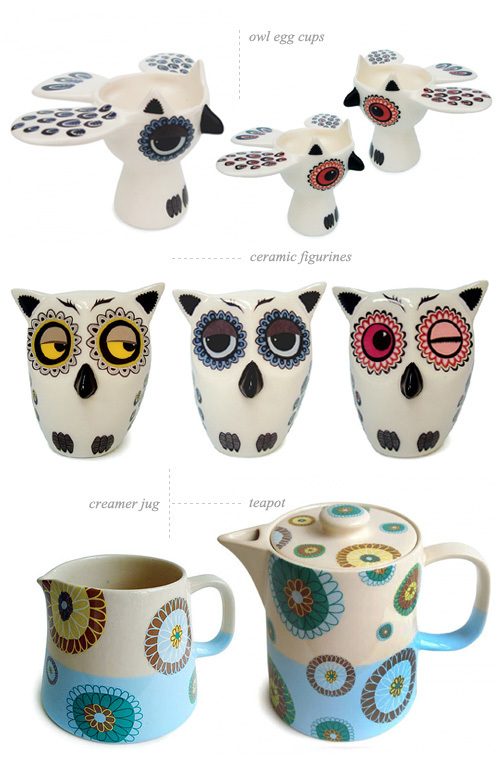 Her owl collection recently had a new addition - owl egg cups. These cuties are available in three different colors - blue, yellow and pink.